Vontae Davis is a very talented former American football cornerback who had played 10 seasons in the National Football League (NFL) for the Miami Dolphins, Indianapolis Colts, and Buffalo Bills. He was drafted by the Dolphins in the first round of the 2009 NFL Draft. He made two Pro Bowls in his career. His playing position is Cornerback. Buffalo Bills football cornerback, Vontae Davis shocks team by quitting NFL at halftime against Chargers. Buffalo Bills cornerback Vontae Davis abruptly retired at halftime of Sunday's 31-20 loss to the Los Angeles Chargers, saying in a statement that the reality had hit him: "I shouldn't be out there anymore". 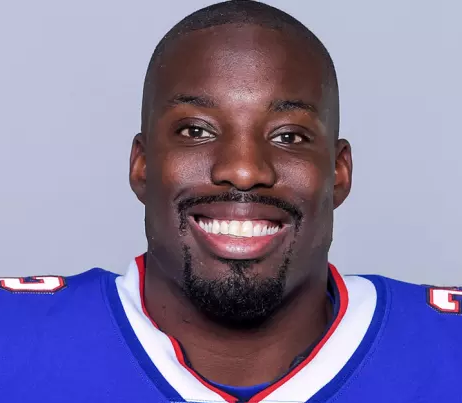 30 Years, Vontae Davis was born on 27th May 1988 with the birth name of Vontae Ottis Davis. He was born in Washington D.C, USA. His nationality is American. He went to Dunbar high school for education and later graduated from Illinois college. Vontae is the younger brother of Washington Redskins tight end, Vernon Davis. 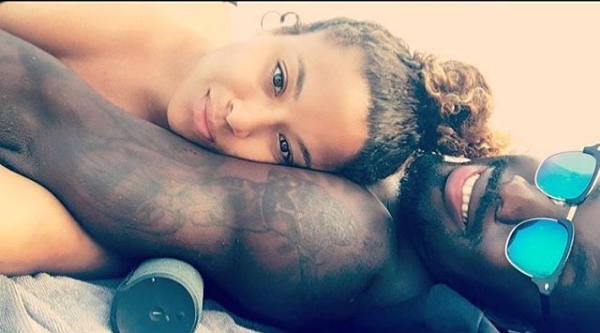 Vontae Davis has got a very attractive and amazing body feature which attracts lots of fans. He stands tall height of 1.80 m and has a balanced weight of 94 Kg. Davis started his career by playing in the college for Illinois against Maryland, Michigan State, and Virginia and was later named to the Freshman All-America first teams by The Sporting News, Scout.com, and Rivals.com and was also the Fighting Illini's Rookie of the Year. After that, he moved towards his professional career by attending the NFL Scouting Combine in Indianapolis, Indiana and completed all of the combine and positional drills. Davis by selected by Miami Dolphins in the first round (25th overall) of the 2009 NFL Draft was also the second cornerback drafted behind Ohio State's Malcolm Jenkins and was the first of two cornerbacks the Dolphins selected in the first two rounds. He signed for Miami Dolphins on 31st July 2009 for 5 years with a fee of $10.25 million and made his debut at the Atlanta Falcons and made a solo tackle during their 10–7 loss. He surpassed Nathan Jones on the depth chart after the Miami Dolphins Week 3 loss at the San Diego Chargers. He completed the 2010 season with 54 combined tackles (46 solos), 12 pass deflections, and an interception in 16 games and 15 starts. He started his 2011 season against New England Patriots and recorded four combined tackles before exiting the 38-24 loss due to cramps. In his 2012 season, he was surpassed on the depth chart by Marshall and was demoted to being the third cornerback on the depth chart. After playing for Miami Dolphins, he was traded to the Indianapolis Colts on 26th August 2012 and was round pick in the 2013 NFL Draft and made his club debut in their season-opener at the Chicago Bears and recorded five solo tackles in their 41-22 loss. He could not be played further because of his ankle injury. He finished the 2013 season with 46 combined tackles (41 solos), 12 pass deflections, and an interception in 16 games and 16 starts. After his brilliant performance, he was signed by the Indianapolis Colts for 4 years with a fee of $39 Million on 11th March 2014. On 23rd December 2014, it was announced that Davis was selected to the 2015 Pro Bowl. He ended the 2014 season with 42 combined tackles (35 solos), a career-high 18 pass deflections, and four interceptions in 15 games and 15 starts. He finished the season with 48 combined tackles (38 solos), 16 pass deflections, and four interceptions in 16 games and 16 starts. He finished his 2016 season with 37 combined tackles (34 solos), ten pass deflections, and an interception in 14 games and 14 starts. He finished his 2017 season with 21 combined tackles (16 solos) and two pass deflections in five games and five starts. 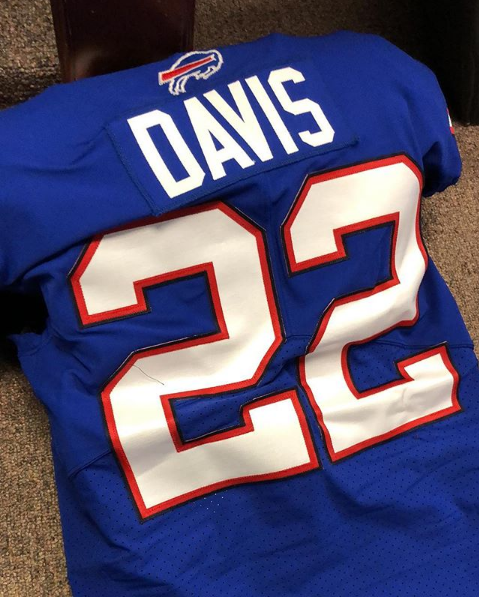 Davis signed with Buffalo Bills for 1 year deal with a fee of $5 Million on 26th February 2018 and made his debut on 16th September 2018 against Los Angeles Chargers and he removed himself saying that he was done which means to retire. Davis is a married man. He married Megan Harpe, his longtime girlfriend on June 2015. The couple is living a happy life and there is no any sign of separation between them. Vontae Davis is an American professional football player. The net worth of Vontae Davis is estimated to have $22 Million as of 2018. The major source of his earning is by playing American football. In the match against Chargers, he removed himself saying that he was done which means to retire in the year 2018. Davis was selected by Miami Dolphins in the first round (25th overall) of the 2009 NFL Draft. Davis started his career by playing in the college for Illinois. He made two Pro Bowls in his career.